Do Clarity and Simplicity Differ? I am often asked if Clarity and Simplicity differ or whether they have a hierarchical relationship. This question seems to escalate as a New Year dawns with many people saying that they are seeking one or the other in their lives. The overburdened are most likely wishing for Simplicity, latching on to the notion that Simplicity involves less complication and fewer responsibilities. Those seeking Clarity are hoping for guidance and discernment, the ability to focus and understand the meaning of something. It is not easy to describe exactly how the two concepts differ since both have many nuances. Clarity can certainly be viewed as an ingredient of Simplicity–something with clear intent that quickly conveys its purpose is simple to use. In this context, clarity is viewed as a hallmark of meaningful, succinct writing and approachable, intuitive design. However, Clarity can also be viewed as a more sophisticated concept than Simplicity. Clarity is often viewed as a form of flawlessness; true transparency is so hard to achieve and so rare that clarity becomes synonymous with something exquisite. In contrast, Simplicity lacks sophistication, focusing on the familiar and basic. Here, the relationship is inverted with Simplicity leading to, or contributing to, Clarity. Perhaps the distinction between the two lies in the fact that Clarity often appeals to logic while Simplicity triggers an emotional response. When Simplicity is viewed as a design aesthetic notable for minimalism, absence of color and clean lines, its appeal is an emotional one. Simple objects are usually plain and free of adornment. Clarity, in contrast, can be measured through comprehension: logical presentation of facts, substantive content, familiar vocabulary, and structured argument. Clarity is often synonymous with lucidity, coherence, and intelligibility. In this context, Clarity suggests human intervention while Simplicity is an inherently natural state of being. Clarity and Simplicity are both at work when you cut to what matters—striking the essence of something. Clarity focuses on enhancing what is there like cutting a diamond to improve its brilliance or tweaking wording to sharpen wit, while Simplicity involves stripping away or removing layers. Simplicity is often associated with purity, a freedom from contamination and unnecessary adulteration, before complication or pollution. When improving customer experience, both clarity and simplicity play a role. For example, achieving simplicity might involve limiting the number of selections while delivering clarity might rely upon plain language and familiar metaphors. Similarly, simplicity plays a greater role in product design while clarity has the upper hand in service delivery. Customization of content involves both—winnowing down the universe of information while clarifying its expression for a particular audience. Rather than offhandedly using the two concepts as interchangeable, it can be useful to consider whether you are trying to achieve Clarity, Simplicity, or both, in your work, and in life. Irene Etzkorn is Chief Clarity Officer at Siegelvision and has 35 years of experience achieving breakthrough simplicity for a myriad of industries. She is also co-author of the book, Simple: Conquering the Crisis of Complexity. Don’t forget to sign up to our insights newsletter. 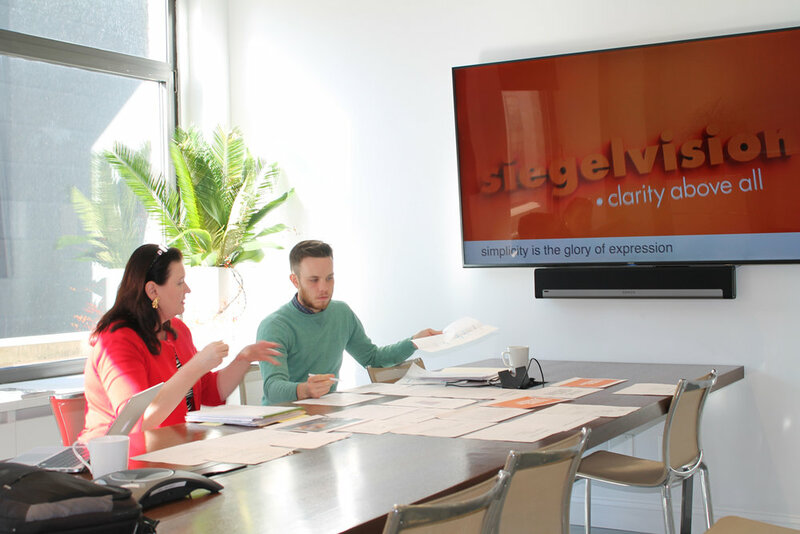 Thank you for signing up for Siegelvision insights. We hope you are going to enjoy our insights and updates, and if you have a topic you’d like us to cover, please let us know.